The late Taliban leader Mohammad Omar played a major role in history. By giving Osama bin Laden and al-Qaeda haven after they were expelled from Sudan in 1996, Omar hosted the organization and its leader as they planned the 2001 attack on the World Trade Center in New York. When Omar refused to give up bin Laden to U.S. authorities, he in turn sparked an invasion of Afghanistan and with it a global war on terror. Omar may have shaped history, but in a way, he also destroyed it. While it is unclear whether he had any forewarning of the 2001 attacks (the Taliban and al-Qaeda had fundamentally different viewpoints on Western terror attacks), he played a personal role in one of the most shocking acts the Taliban ever undertook: The destruction of the Buddha statues of Bamian. That act took place a few months before the attacks that would lead to Omar’s downfall, and like those attacks it may have helped usher in a new era in extremist Islamic destruction. 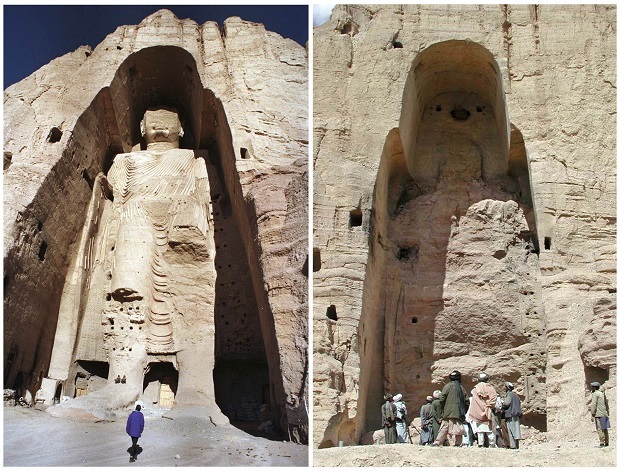 It was March 2001 when Taliban troops blew up two statues that had been carved into a cliff in the Bamian valley. The statues dated back to the 6th century AD, a relic of the Silk Road trading route that ran through Afghanistan. They were feats of engineering as much as they were works of art: The larger of the two was 180 feet tall and the two statues, carved out of sandstone mountains, wore clothes made out of clay. They were among of the most impressive Buddha statues in the world, and certainly the largest. 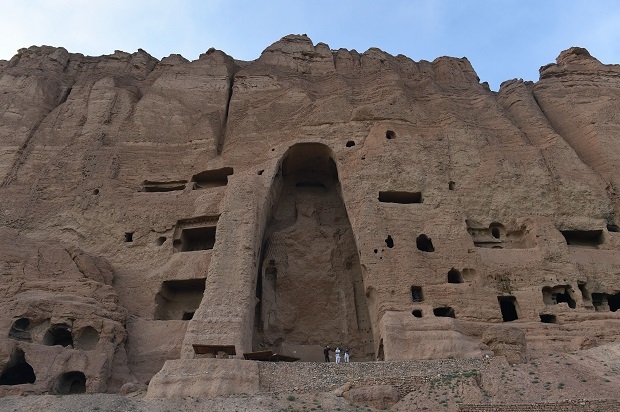 However, the Taliban was clearly determined to go through with the plan: When early attempts to destroy the artworks with tanks and artillery shells failed, they recruited local men to plant explosives inside the statues. The process took several weeks, but by mid-March the statues had been destroyed. After the destruction, authorities sacrificed 100 cows and gave their meat to the poor: An Islamic ritual of atonement that was designed not to make up for the destruction, but to apologize for the destruction taking longer than expected. In the years since, other groups have used similar justifications while destroying statues and other shrines, with sites attacks by Islamist groups in Libya, Pakistan, Tunisia and Egypt. The Islamic State, the extremist group controlling large portions of Iraq and Syria, have made a point of destroyingancient and pre-Islamic cultural artifacts that they see as idolatrous. Like the attack on the the Bamian Buddhas, this destruction usually doesn’t cause the deaths of humans, but it does attempt to wipe out history and cultures. Closer inspection of comments made by Taliban officials in 2001 suggests a more complicated decision-making process was at work than they initially claimed, however. Sayed Rahmatullah Hashimi, a Taliban envoy, told the New York Times that the statues destruction had been prompted by economic anger that international bodies were offering money on the restoration of the statues, while Afghans remained desperately poor, in part due to international sanctions. There certainly did seem to be a shift in the Taliban’s thinking: In 1999, Omar had issued an edict saying that the Buddha statues of Bamian should be treated with “respect” and that they could be used for tourism revenues. By 2001, however, the Taliban had made a number of moves toward a more conservative ideology. Some theories suggest that bin Laden had championed the destruction of the statues before the Taliban came on board, and that Arab and Pakistani experts were called in to help destroy the Buddhas. Since the statues’ destruction, there have been a number of attempts to rebuild them, but these efforts have been hamstrung by disagreements. For now, the caves around Bamian are only housing Afghans made homeless by the country’s decades of war and chaos — another reminder of the legacy Omar left Afghanistan.